This 5050 Sq Ft home and 456 sq ft pool house sits on a 2.63 acre lot backing up to the woods in the highly desired Talamore Subdivision. Enjoy the large lot with covered outdoor living area, outdoor fireplace, built in gas grill, hot tub, custom heated guinte pool with a waterfall and a pool house! Perfect upscale kitchen with upgraded cooktop and refrigerator, living room open to the kitchen, study with gas fireplace and formal dining perfect for any occasion. Secondary bedroom downstairs is completely handicap accessible with custom ramps throughout the home. 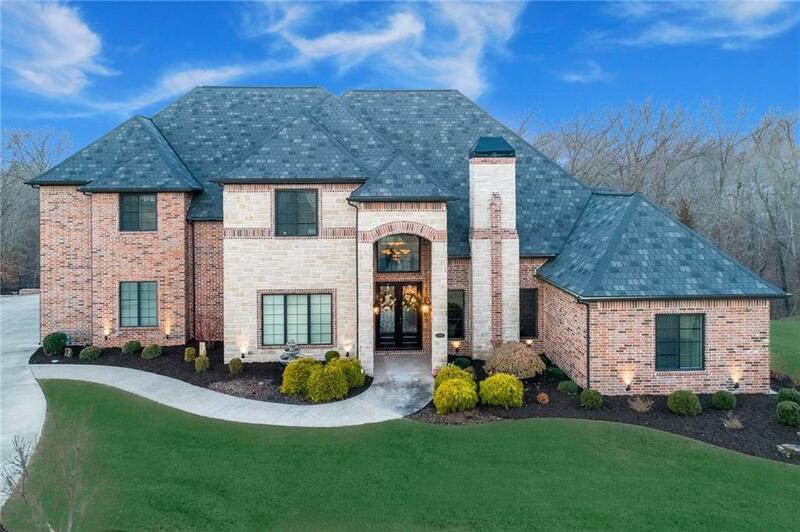 Custom trim work throughout, 4 garage bays, and hardwood floors throughout. Large bonus room with custom wet bar area, storage and tons of light streaming in. Full media room with projection screen, projector, and surround sound. Sq Ft reflects the main house and the pool house heated sq ft.